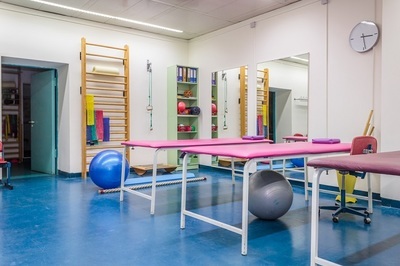 You have undergone training for medical massage and are keen to invest in massage tables for your clinic; it is good to begin with an online research that can help you look at the latest equipment that is available today. You must be clear about the type of table you want to invest in. One of the best things to do is to start comparing the features of the tables and the prices that you get. There are some portable medical massage tables available in the markets which are designed with two to three inches’ foam and tough materials. Basically, massage therapists concentrate on their massage techniques for their patients, during the therapy session and they need to provide relaxation to the patients. In this regards they install some steady massage tables where their customers can easily be accommodated and these tables can also carry heavy bodied persons. What are the uses of medical massage table? Medical massage tables are generally installed in the medical institutions and therapists provide complete massage on the bone joint as well as their muscles. Therapists use some medicated oil and solutions during their massage and these tables and the foam cover can easily be cleaned of these solutions after the session, in case there are any temporary stains. You can easily clean the table after your session and avoid any transmitted diseases for your patients. These tables are designed with separate head segments, where people can place their head and feel complete relaxation. If the patients suffer from some joint pain and muscle cramps then they need to get the massage without any movement, and in this regards medical massage tables can provide you with locking facility for the patient’s body. These medical massage tables are manufactured with double coated foam and soft materials. These tables can easily carry much weight and during massage they do not move suddenly. So, these can keep your body straight and you can get your massage per your needs only. Most massage therapists need massage tables that can be folded with ease and offer a smooth experience to the users. Carrying a massage table to your clinic is a daunting task. A good quality medical massage table is not very bulky, it can easily be transported from one place to another, and there are also raised platforms attached to some medical massage tables, which help the patients to rest their feet in a proper position. Examine your clientele first before moving ahead with your choice. Read the instructions that come with the product to become familiar with its features and mechanism. The foam and the covering of the upper layer that you find in a medical massage table, must be of high quality so that a patient or a person who wants to avail medical massage, can rest without any pain or problems on the table. What are the benefits of medical massage tables? The medical massage table is a very important device to be used, especially when it is used for therapy sessions. Proper resting position and proper angle of reclining on this table can keep a person’s body fit and perfect. An ideal medical massage on this type of table can help a person to get rid of unwanted body and joint pains. With the advent of massage tables that can be maneuvered with ease, you can provide complete satisfaction to people that require massage at home to get relief from pain. You can choose from the portable, the electrically-lifted and from the stationary massage tables, depending on your need and on your budget.